One of my favorite things to do is to mix basics with glamorous items. For example rhinestone earrings with sweatshirts, or heels with t shirts. I loved the unexpected- it always look fashion forward and fun. 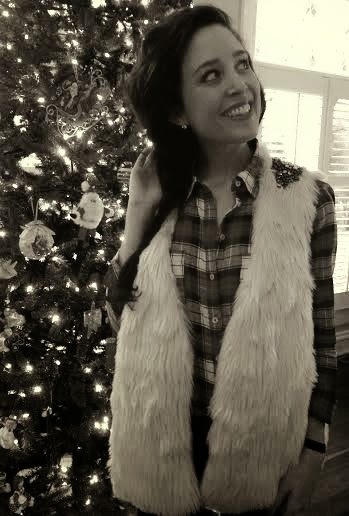 Today, I paired my Forever 21 plaid blouse found HERE with my Forever 21 white faux fur vest with shoulder crystal encrusted detail found HERE. 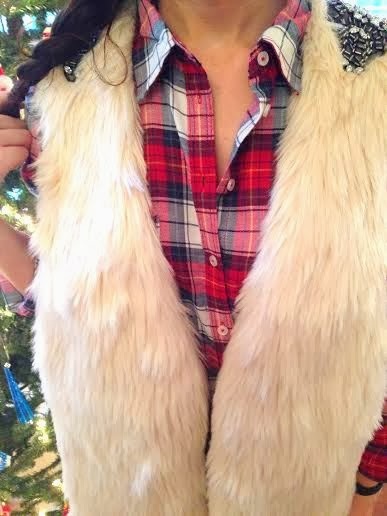 (Something to keep in mind, the vest I bought is a large so that I can pair it with sweaters and scarves. )I paired the two with my white house black market jeggings HERE, and my fringe ankle boots from Target found similar HERE. 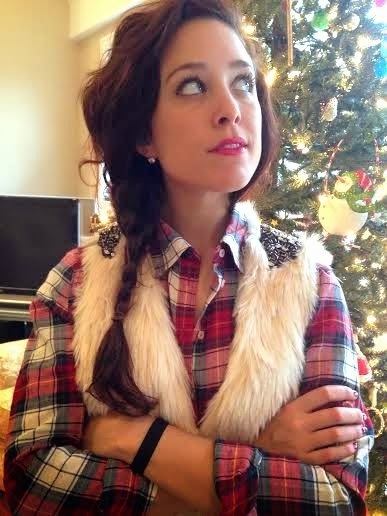 I love this look for shopping around town or for grabbing holiday cocktails. 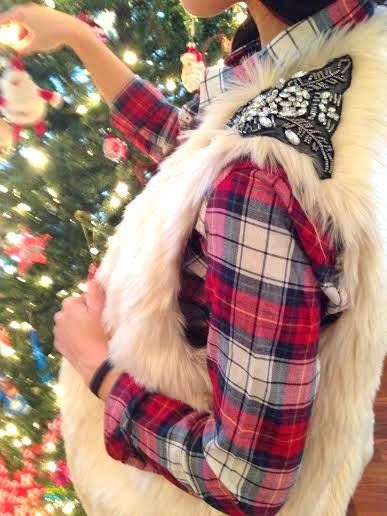 Laid back, yet glam in one.